Children exploring the MOVE station in MeLab – located in the Baptist Health South Florida Gallery at the Phillip and Patricia Frost Museum of Science. 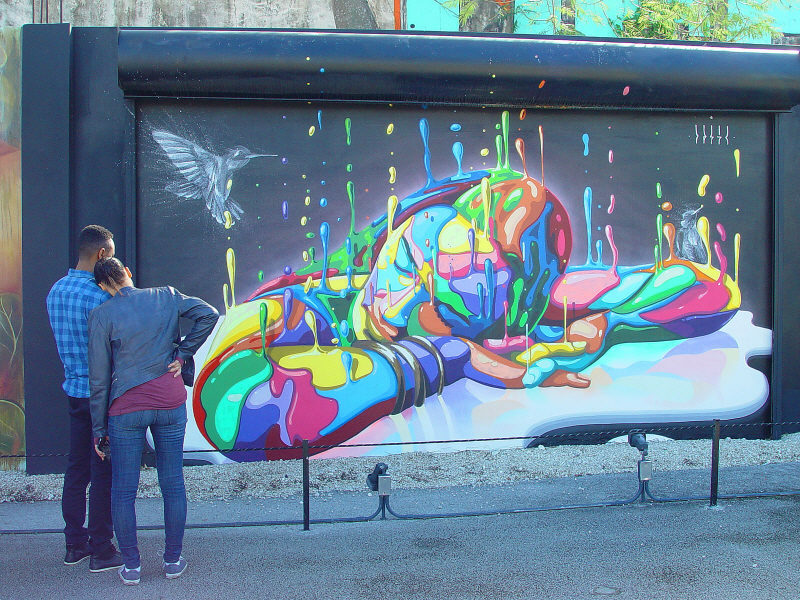 I love that you captured the woman resting her head on her man’s shoulder, mirroring the mural. Quiet, love. Thanks! It was definitely one of those lucky shots. I had taken several of the mural without anyone around when the couple walked into the frame. As I waited, this perfect image presented itself. Fortune favors the prepared mind. Louis Pasteur.